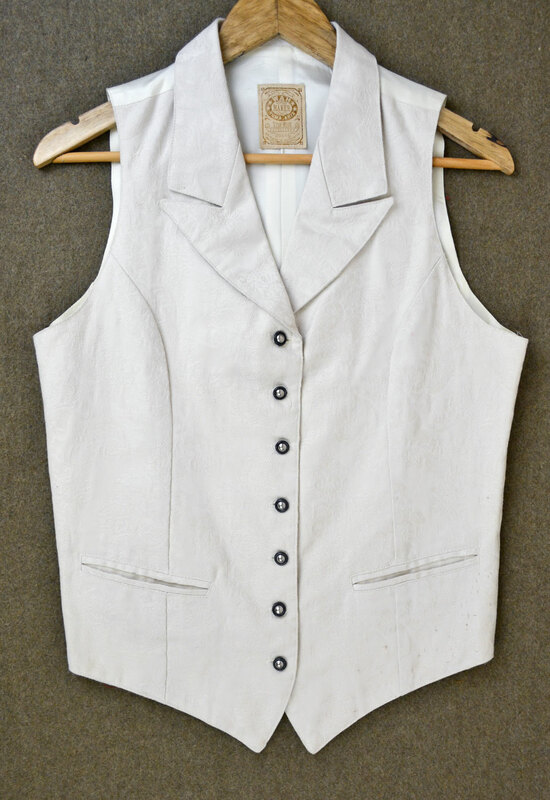 Add subtle color to your outfit with this Ivory Brocade Vest by Wah Maker. 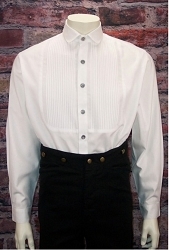 Vest has two pockets, seven buttons and notched lapels. Available in size Small only. Vest is Shop Worn, with minor fraying at button holes.